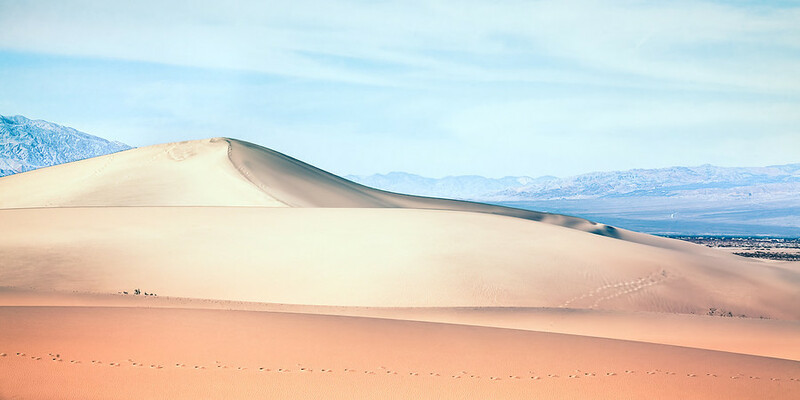 The Mesquite sand dunes out in Death Valley California are quite the sight to be seen. I really enjoyed my time there wondering around these dunes in the heat. It really is hard to walk around in these dunes. The sand is always sliding out from beneath your feet and it takes so much more energy just to get around. Super fun though. To process this photo, my steps went like this. 1. First pass on color with Lightroom. 3. Photoshop – Sharpening with the High Pass filter and dust cleanup. 4. Back to Lightroom where I did my second pass on color.